Crossing over from Cub Scouts in 2010, I was very eager to start earning merit badges. I was excited to “learn to earn”. The academic process of earning a badge was straight forward, however I was anxious about the athletic badges. At Woodruff Scout Camp, I earned the archery merit badge and kept learning.I joined an archery team, learned from a elite coach and worked like crazy. 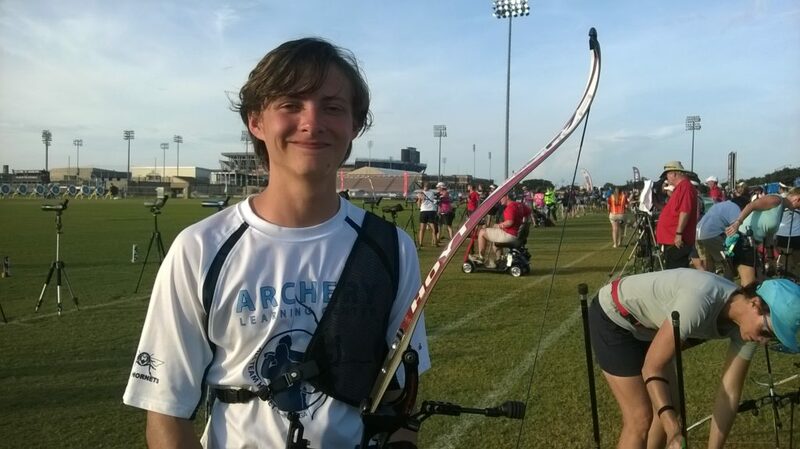 After a few years, I won the Georgia State Youth Archer of the year for 2014, winning state champion in indoor archery, outdoor archery, field archery and 3-D archery. Boys Life magazine wrote a “Headliner” blurb about me in the February 2014 issue. Which was pretty cool. 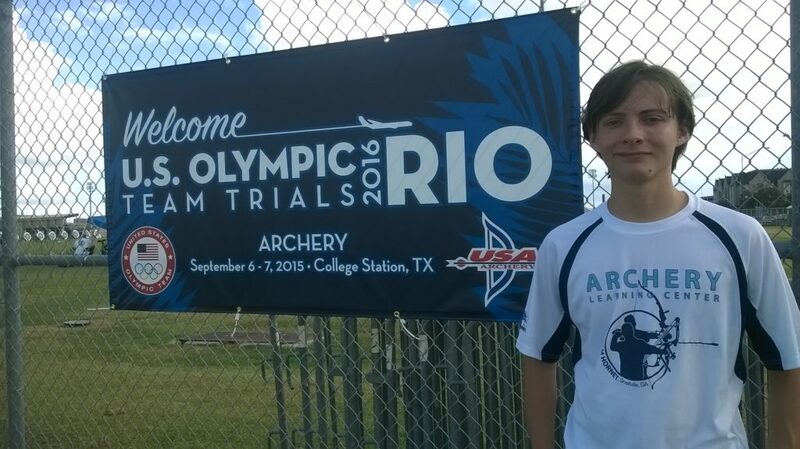 Last September, I even traveled to Texas A & M University at College Station, Texas to compete in the U.S. Archery Olympic Team Trials. I was eliminated the first day, but I had an amazing time and was honored to be there…an exciting adventure that started with a Boy Scout Merit Badge! 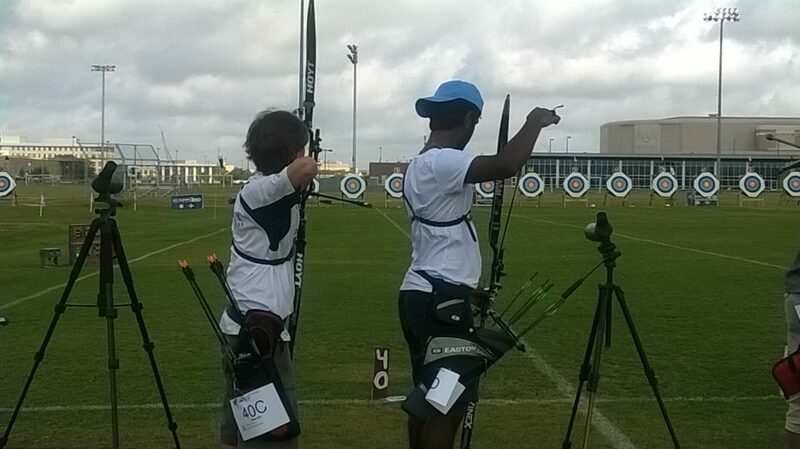 By the way, I am still learning and earning… I just earned my 100th merit badge and 12th Eagle palm. 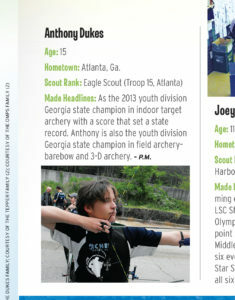 This story was submitted by Eagle Scout Anthony Dukes of Troop 15 in Embry Hills, Atlanta, GA. Anthony is a competitive archer, who has earned 12 Eagle Palms. Tagged Eagle Scout, Woodruff Scout Camp. Bookmark the permalink.